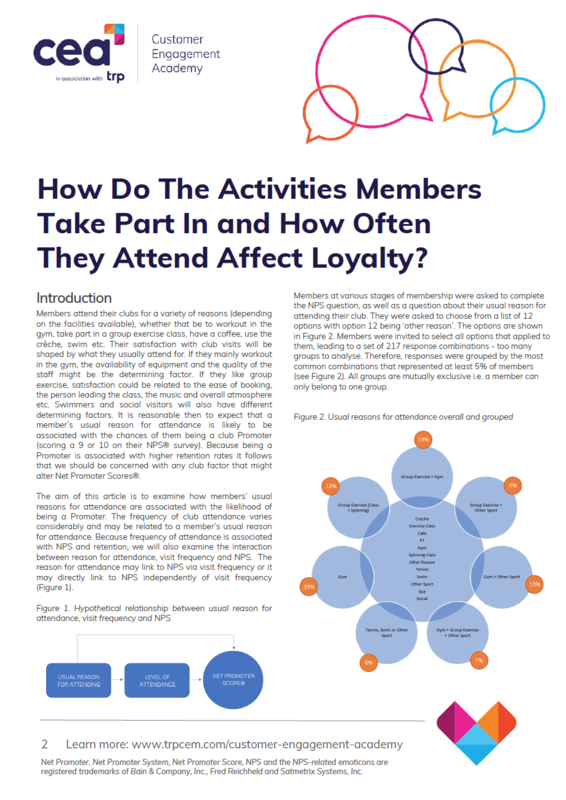 How Do The Activities Members Usually Take Part In and How Often They Attend Affect Loyalty? Which activities do members usually take part in when they visit their clubs by gender, age group, and length of membership? How does a member’s participation in specific activities and how often they visit affect loyalty (as measured by Net Promoter Score®)? What can you do to increase the number of loyal Promoters in your club?